HomeBlogHome DecorHigh & Dry Dishrack by Black+Blum. 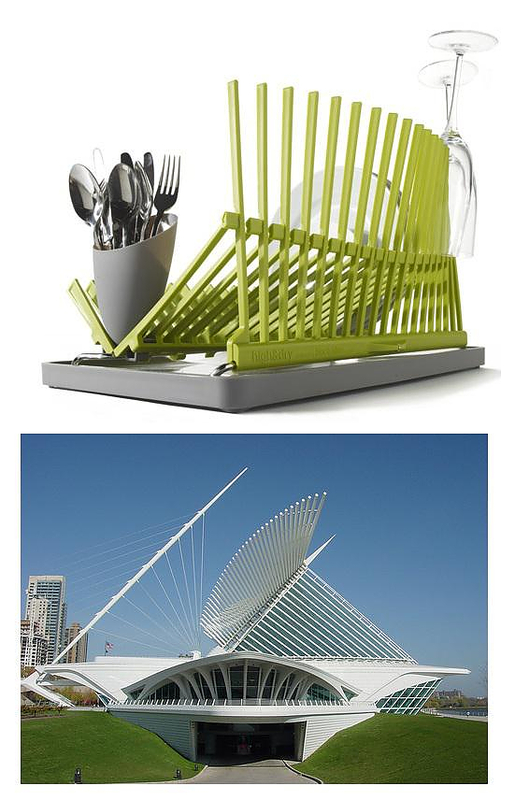 High & Dry is a contemporary dishrack designed by creative duo Black+Blum and inspired by modern architecture. Its sculptural shape was probably inspired by the” Milwaukee Art Museum” by Spanish architect “Santiago Calatrava”, as there is a very obvious resemblance. High & Dry has the ability to fold down to a flat shape for easy storage, while pointy flexible spikes are used to hold glasses in an outright position, allowing them to dry faster. In addition the drainage tray has an adjustable flip up spout, which regulates if the water will drain out or not. 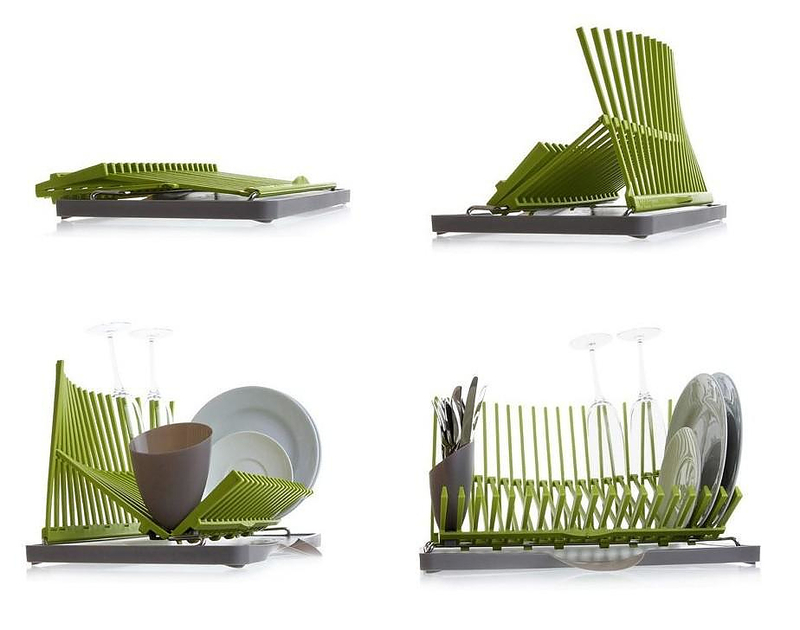 High & Dry dish rack by Black + Blum is one of the most stylish looking dish racks we ever came across, while its artistic look is cleverly complemented by functional features that increase its usability. 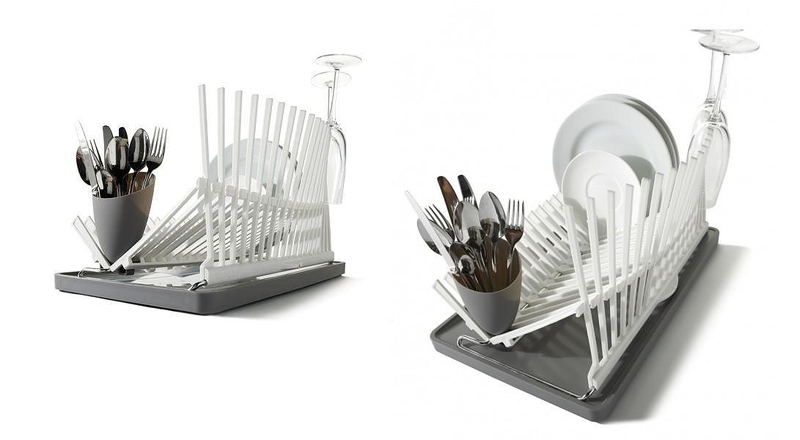 This awesome dishrack is made from polypropylene and stainless steel. 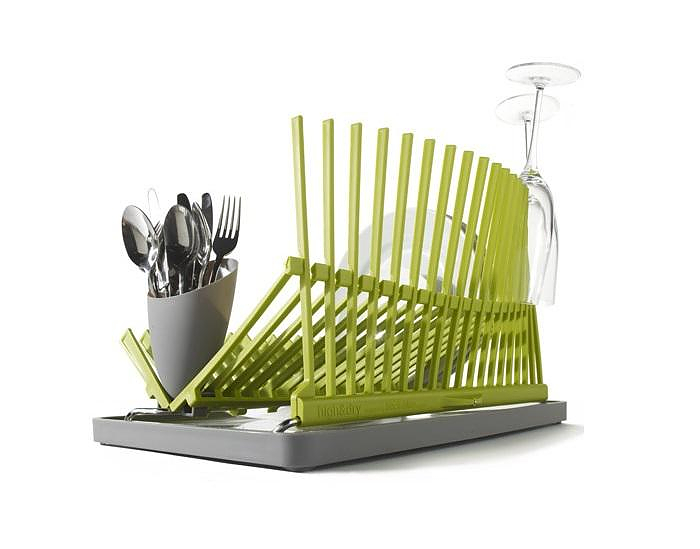 In addition to the main dish rack, a removable cutlery holder is also included in the packaging. 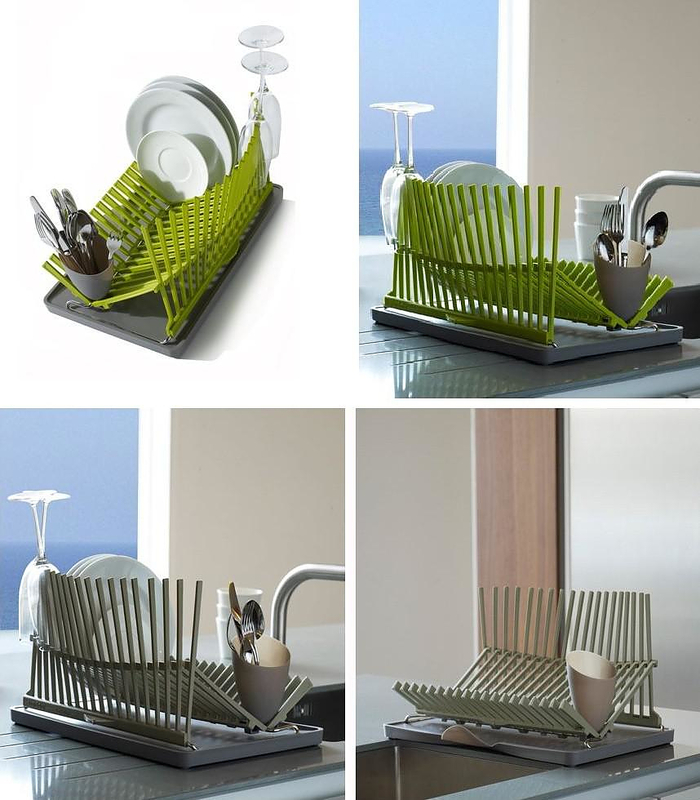 The cutlery holder that can be conveniently positioned anywhere between the pointy spikes. Once you begin using High & Dry you will notice even more cleverly designed features, for example the flexible spikes will accommodate plates and bowls of different shapes very easily and securely. Also the main dishrack can be easily removed from the draining tray and used on its own, a very useful option for my personal kitchen set-up. Overall this is an excellent kitchen decoration accessory which I think is a considerable evolution compared to the overly repetitive designs found on most other dishracks.